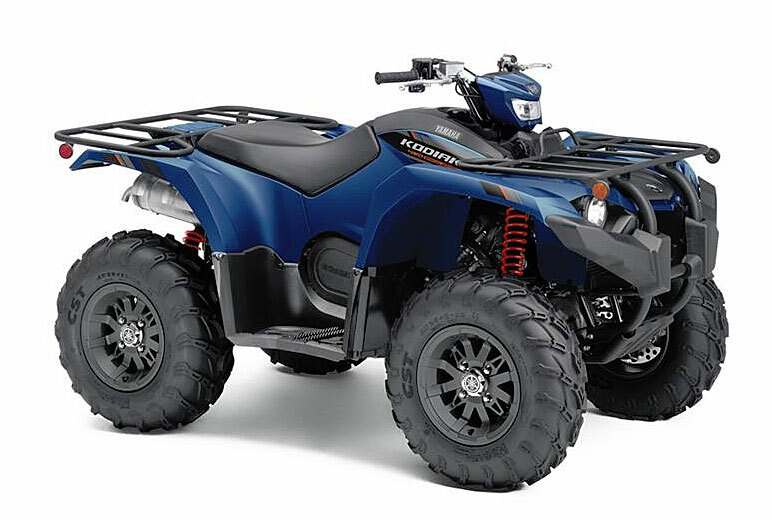 2019 Yamaha Kodiak 450 Guide - Prices, Specifications, Key Features. 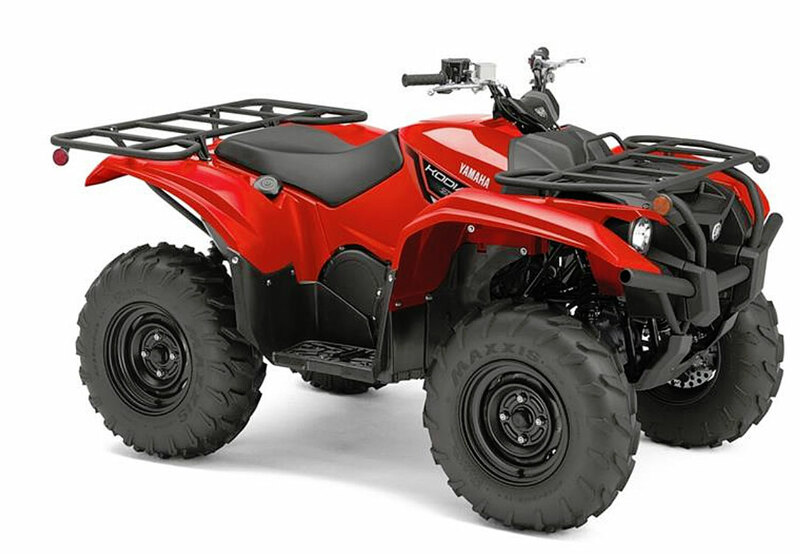 The 2019 Yamaha Kodiak 450 models come in three versions of a smaller and more maneuverable package than the 700. 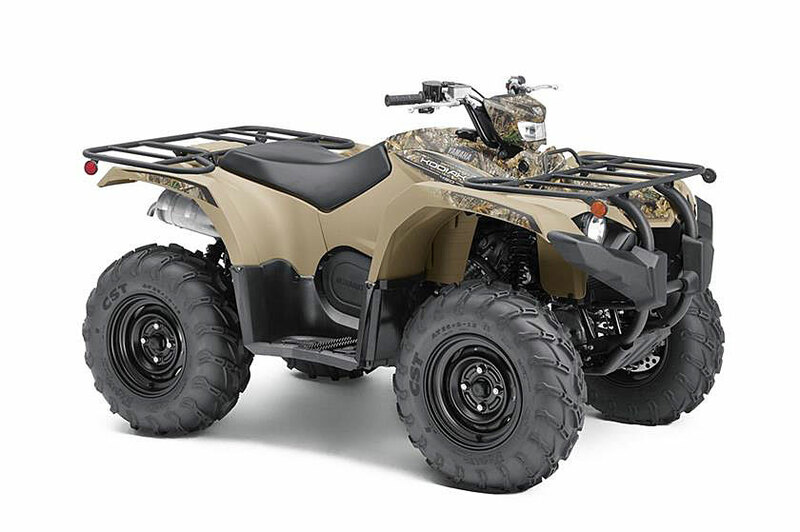 You can choose from the standard 450, the EPS with power steering, and the EPS SE with aluminum wheels. Just follow the guide below for all the details. Ultramatic transmission, with gated shifter moved forward to provide a roomier rider area, with park, dual-range (Hi/Lo) drive, and reverse gear. Tuned to provide lowered cruising rpm for quiet operation. On-Command 4WD - switch between 2WD and limited-slip 4WD with a push button on the handlebar. Riding position with extra room - tall handlebars, extra long and plush seat, large textured floorboards, and an oversized thumb throttle. High-Mounted Air Intakes - ensure that water and debris can’t get into the drive system or engine air cleaner, with a reusable foam air filter for the engine that's accessible without tools. Easy access servicing - airbox features tool-less access to the air filter element, the engine and differential feature convenient oil drain holes, and vehicle electronics are located high on the chassis, under the front center panel. Textured, injection-molded fenders for protection against rock and debris damage. Steel cargo racks with wrinkle paint finish can carry a total of 264 pounds combined. Heavy-duty ball mount comes standard, can tow more than 1,322 pounds. LCD instrument cluster with readouts for speed, transmission status, fuel level and more. Electric Power Steering - balances steering assist and positive feedback by checking gear position, 4WD mode and speed to match terrain conditions in real time. Halogen work light mounted on the handlebar, under a body-color-matched cowl. 12 inch aluminum wheels with 25 inch heavy duty tires.